As work moves quickly along with our Iona Village hall project, WTA have the pleasure to be working on the Isle of Iona again with our recent proposals for the new Iona Craft Shop and Studio. The brief is to create a new shop and guest accommodation in place of the current Iona Craft Shop, and a new studio across the road which will be their temporary shop and then perform as a co-working/artists gallery and residence. If you’re visiting the island, we would definitely recommend having a browse in the existing Iona Craft Shop or you can can visit their website here. Our third project in Elie is now complete! The new extensions to this B-listed home sit upon the sea wall, allowing spectacular yet sheltered views across Elie sands and out to sea. The generous areas of glass improve the light that comes into the newly arranged spaces, while the patinated copper roof and panels echo the rusty colours of maritime structures. In such a beautiful context, we hope to work on other projects along this coastline. Following on from the launch of ASPECT:Cinema at this years Architecture Fringe 2018, WT Architecture are due to present ASPECT:Cinema once again this winter with some new and favourite material. Collaborating with ASPECT:Cinema’s new host The Wee Red Bar, screenings will continue to explore the relationship between film and architecture, while promoting filmmakers and artists from Scotland and afar. Keep a look out on social media for up-and-coming screenings. As the Venice Architecture Biennale 2018 comes to a close, we look back on this years WT Architecture trip away. For a long weekend we moved the studio over to Venice to gather some inspiration at the Biennale and the intriguing architecture of the city, including a special visit to Carlo Scarpa’s Olivetti showroom! After having brought our findings back to the studio in South Queensferry, we look forward to exploring new ideas across ongoing and future projects. 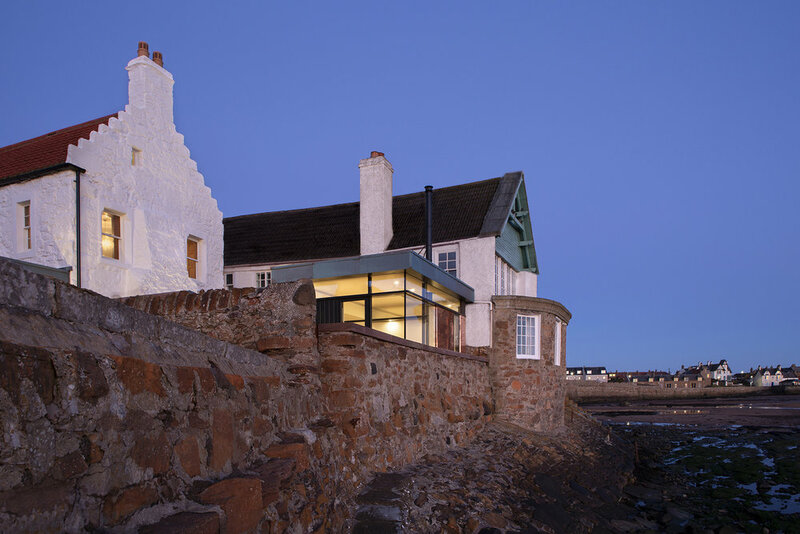 We are delighted to announce that our second project in Elie, Fife is now complete! Almost the entirety of the ground floor to this listed seafront building was removed and opened up to let north light in and make the most of the beautiful private garden. With greatest thanks to the clients, the contractor Green Olive Projects Ltd, and the rest of the design team. The WTA Team are excited to move back into their newly refurbished Gote Lane studio after a weeks break. Beautifully crafted by Edinburgh-based joinery company Umbre + Ochre. The new space is a delight to work in with the exciting addition of standing desks and new open bookshelves for models and material samples. Everyone is settling in nicely. We were delighted to receive the news early this year that our clients on the Isle of Iona have successfully secured £903,888 in funding for their new Village Hall from BIG Lottery. This award enables us to move forward with preparation of a planning application for the new Hall, development of technical drawings and a tender package which will be issued to tendering contractors later this year. Iona Village Hall Community Trust are hard at work raising the remaining £1.2m they need to see the project to fruition and allow a new Hall to open its doors to the community in Spring 2020. Keep an eye out for their fundraising events and visit their website and Facebook page for information on how to make a donation - every little helps! 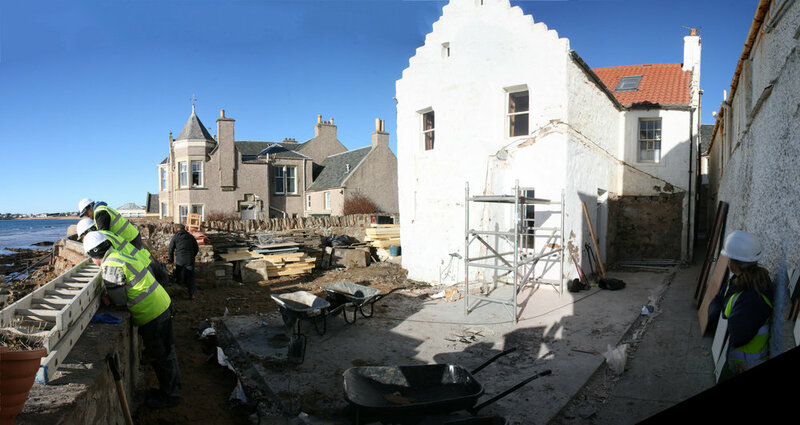 We are thrilled that our project to transform a B-Listed beach house in Elie has started on site. The first and most gratifying move was the demolition of the ghastly plastic conservatory at the back of the house. The project will see a pair of highly contemporary, copper and glass extensions added, as well as signification rationalisation of the interior, to create dining, living and kitchen spaces that luxuriate in the site’s beach-front location. 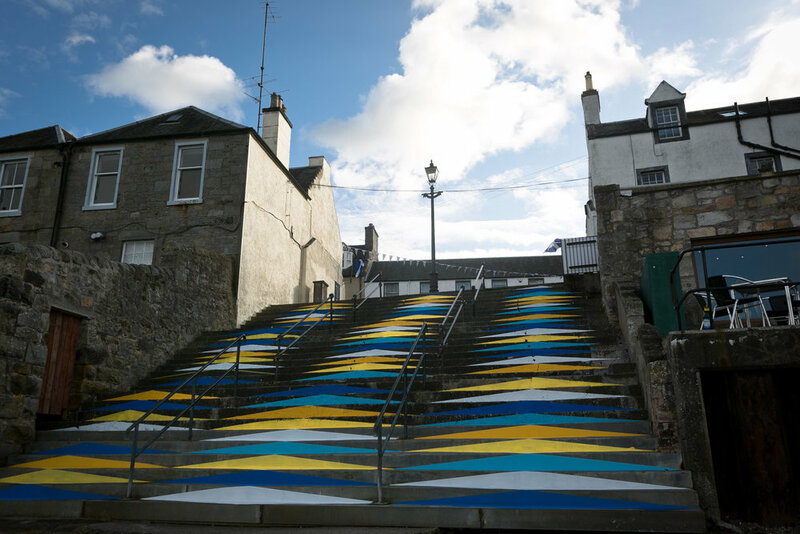 The small seaside town of Elie is proving to be a fruitful source of exciting work for us! This is the second of our Elie projects currently on site, both projects by lead contractor Green Olive Projects. We very much look forward to work progressing throughout 2018. WT Architecture have been continuing to expand lately, both in terms of size and skills. Congratulations first go to Calum Robinson, who was formally accepted into the Register of Architects earlier this year, following the successful completion of his professional examinations. We are also delighted to welcome Jen Love back into the team. Jen returns to us after completing her Masters in Architecture at the University of Edinburgh. WT Architecture are delighted to announce that we have recently been appointed by Amey as part of a team to develop proposals for a ‘Welcome Hub’ for The Forth Bridges. This significant public project will create a focal point for the celebration and understanding of the astonishing engineering achievements of the now three bridges of the Forth and the cultural heritage of the wider estuary area. To be situated at the current administration headquarters site of Amey and Transport Scotland, a scheme of world-class buildings and landscaping will offer a range of immersive experiences for visitors to admire, learn about and interact with, The Forth Bridges. The ethos of the project is explicitly extrovert, seeking to collaborate with and support all other private and public organisations in the area, as part of a tourism strategy for the region. The team includes some familiar faces from The Paul Hogarth Company, Arup, The Glamis Consultancy, Turner & Townsend and STR Global. We look forward to developing the project further and revealing more in 2018. We are delighted to have been invited to work on further designs for the Tweedsmuir Community Company, following on from our work on The Crook Inn in 2014-2015. The latest designs are for a Cafe and Bunkhouse occupying the two outbuildings that sit behind the Crook Inn and will form part of the first phase of development of the Crook Inn site into a vibrant, community-owned hub for the local area and visitors. Initial designs have just been presented to the TCC and we look forward to working with them as the project develops. WTA have been working on a masterplan for a very special housing development in the Scottish Borders. With a focus on creating a development with a real sense of place and identity and a high quality architectural ambition this is a project we are very much looking forward to developing over the coming months. We’ve been hugely enjoying working on exciting plans for Tyninghame Steading over the past year for which an application for planning permission has been submitted! The plans include proposals for a new restaurant and beach cafe, food hall, interiors shop and a seasonal shop & gallery alongside five self-catering holiday homes. It has been a pleasure working on such a lovely project in such a beautiful setting and we will be keeping our fingers crossed for a positive planning decision early next year. We are delighted to see works starting on The Sand House project this month! A design was developed with the clients to make the most of northern light and open up the kitchen to the private, leafy garden beyond. In order to achieve this we need to demolish the existing side extension, carry out substantial internal alterations and built a new extension in the garden. This is one of our favourite little projects and we are very happy to be working with the wonderful Wojciech Eisler and the construction team at Green Olive too! If you would like to stay updated with progress follow our on site blog. Since 2015 we have been working on designs for a New House at Newport-on-Tay, Fife. We are now thrilled to see this project start on site, led my main contractor Robertson & Smart Builders Ltd. We certainly couldn’t have asked for a more glorious day for a site start. Work is commencing with the excavation of topsoil across the whole site. The first glimpses of the siting of the building are starting to emerge from the peg markers and sprayed lines. Be sure to catch the action by visiting our on site blog which will feature regular updates on progress throughout the construction phase. Open Close is a temporary art installation project led by a collaborative team of artists, designers and architects. The project was conceived as a way of demonstrating how our smaller urban spaces can become containers for more joy, wellbeing, stimulation and play and the role that contemporary art and architecture can play in this transformation. 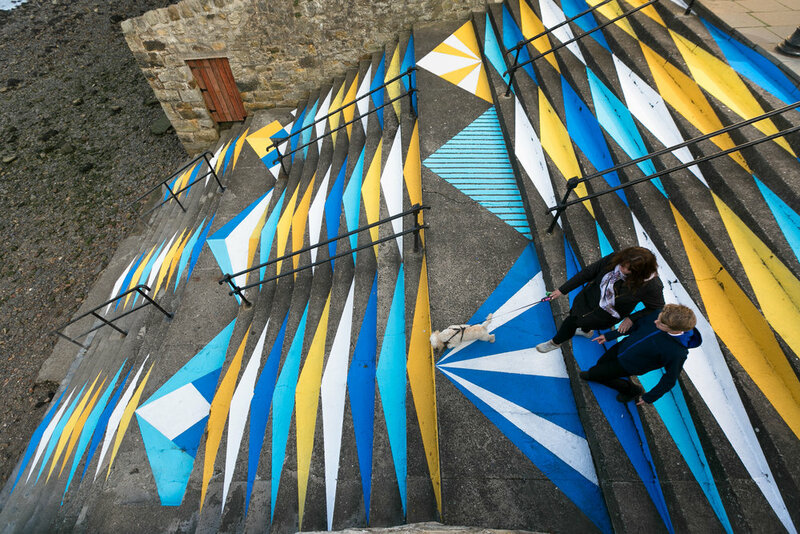 Using sound, light, sculpture, design and visual art, Open Close will see interventions large and small, overt and subtle scattered across Carrubbers Close, Chalmers Close and Trunks Close off Edinburgh's Royal Mile. The installation is part of Edinburgh’s Architecture Fringe Festival, and is a free event which will run from 14th July - 11th August 2017. WT Architecture are very proud to have several friends and colleagues represented within the Open Close Collective; a collaborative group of artists, architects, academics and web developers united by an interest in how we can make better creative use of the small spaces in our cities. Visit the Open Close website to find out more about the project, and the collective of people and organisations involved.